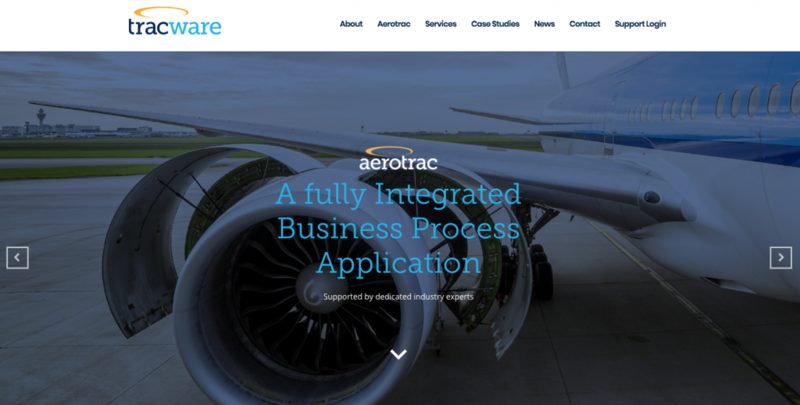 MRO management software provider Tracware has been a client of Design Inc’s for nearly ten years now. As well as recently updating the company and product branding, we have just completed a completely new responsive aviation website for the company who are pushing forward into new international markets with their flagship aviation software Aerotrac. The website has been designed to present a more corporate and broader appeal. Laying out the stall for the flagship product Aerotrac being equally suited to rotary and fixed wing MRO businesses and with offices in Australia and China an international footprint. 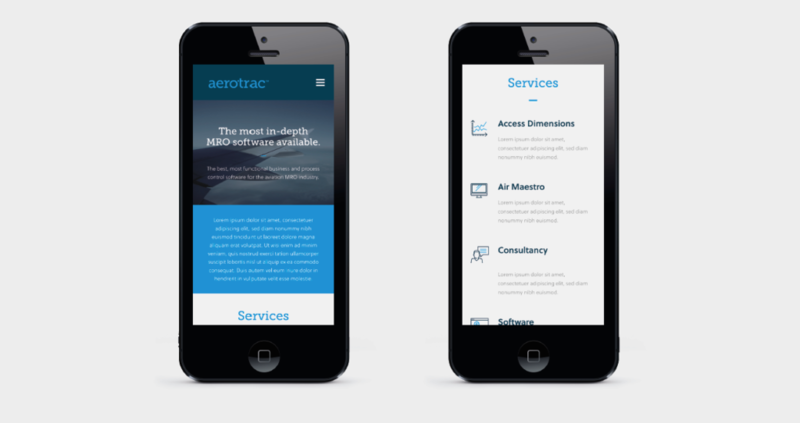 This new responsive aviation website design introduces a more intuitive sitemap and UX enabling users to simply get either an overview or more detailed specifications to be downloaded via PDF’s. According to Patrick Waker Sales Director at Tracware. ‘The new branding and website has already had a noticeable effect on the perception of Tracware in the eyes of customers, this has translated into the business getting onto the bidding lists for projects for which they may not have previously been considered for’.